Then Zinaida Shumilina and 12 others have applied to be held in Homel on picket lines in order to draw attention to the political persecution of former presidential candidate, who after the elections were in prison. City council refused to hold public events, and Central District Court of Homel, which was appealed against this decision, sided with the government. Also, the Homel Regional Court upheld a lower court decision intact. Have not heard the opposition and the Supreme Court, which is January 23, 2012 left the decision unchanged, and the appeal applicants – without satisfaction. Using all domestic remedies, the citizen goes to the UN Committee on Human Rights. 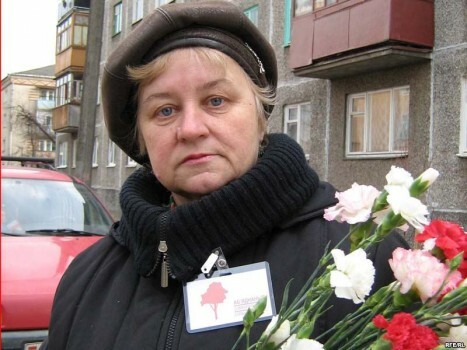 Zinaida Shumilinasays that the state, and in particular, the Homel City Executive Committee, violates its decision on the order of events the rights of citizens. First, in nearly half a million the city is only defined a platform for pickets and rallies, and secondly, the applicants events required to sign agreements with a number of special services – public utilities, police and ambulance, and pay for their services. This practice leads to a violation of the right to freedom of peaceful assembly and to freedom of expression, that is a violation of articles 19 and 21 of the International Covenant on Civil and Political Rights. The applicant believes that the government ban on peaceful assembly is not necessary in the interests of national security, public order, protection of public health, rights and freedoms of others. Zinaida Shumilina in the complaint is of the opinion that the Republic of Belarus does not fulfil its obligations within the meaning of paragraph 2 art.2 the International Covenant on Civil and Political Rights, as the law “On mass events” includes ambiguous and vague rules which, no doubt, may be due to and explained in different ways. The applicant recalls that even in a single location permitted in Homel authorities banned the holding of more than 70 alleged activities in 2011. Zinaida Shumilina asks the UN Committee to consider its complaint on the merits, determine that the State violated her rights, and advise the Belarusian government to bring the norms of the law “On mass events” and the decision of the Homel City Executive Committee in accordance with international obligations, namely Articles 19 and 21 of the International Covenant on Civil and Political Rights.